From a top of the table showdown to a battle with National League One’s basement side, that’s the challenge facing Hartpury RFC on Saturday (December 10th, KO 2.30pm). After last week’s ruthless demolition of nearest challengers Birmingham Moseley – scoring nine tries to one in a runaway 64-5 home win – Hartpury travel to take on the team rooted to the foot of the table with only two wins and a draw to their name in this campaign. By contrast, after an incredible 14 consecutive bonus point wins in a row, Hartpury are now 19 points clear of the rest after Plymouth Albion also slipped up last weekend – 24-22 at Ampthill. 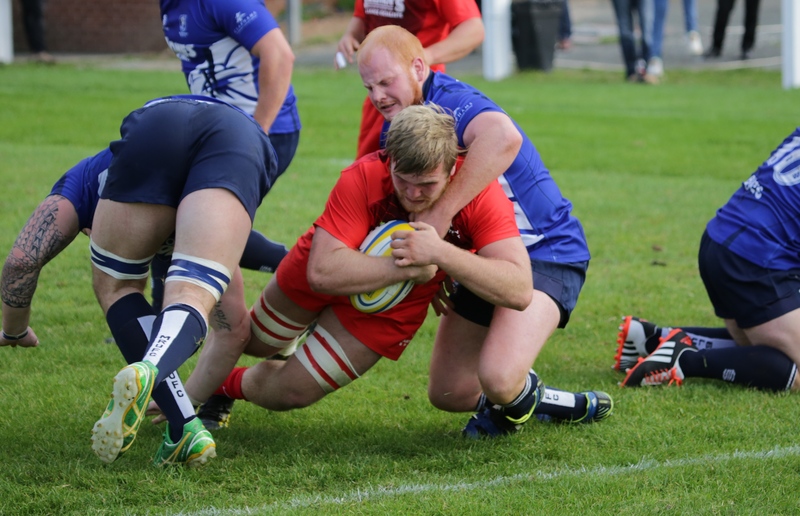 They will certainly be a daunting proposition for the newly-promoted side and few will fancy their chances of ruining Hartpury’s unbeaten run. Hartpury Director of Rugby, John Barnes, said: “The biggest challenge is always maintaining standards when you are playing a team lower down the league. “Given their position, they will be targeting their home games and we know they pushed Moseley all the way at home, so we won’t under-estimate the threat they pose, particularly given that it would make lots of people’s seasons to be the first team to beat us. Hartpury did the double over Macclesfield the last time the two sides faced off when they were both promoted into National League One in the 2014-15 season. While the northerners went straight back down, Hartpury secured a solid fifth placed finish in their first campaign at this level. That season saw Hartpury’s only previous visit to Priory Park, where this weekend’s fixture will take place, the result being a 41-3 victory, with tries coming from Gareth Thompson, Jaike Carter, George Boulton, Luke Stratford (pictured) and Craig Jackson. Hartpury will potentially head into Saturday’s game without two key players. Back row Jake Polledri (shoulder) and centre Steve Leonard (knee) will both face injury assessments this week. Second row, Joe Dancer, however, should be back fit after his ankle sprain at Loughborough, and Hartpury should be able to select from most of their on loan contingent. Not only are Hartpury potentially eyeing a place in the IPA Greene King Championship next season, they are only four games away from equalling the record set by Stourbridge for the most bonus point wins secured in a row for all levels in the rugby pyramid with 18. They will not want to repeat the Midlands’ side’s fate that season though as they ended up losing to Macclesfield and then in the play-off to Ampthill to miss out on promotion! Elsewhere, there is a heavyweight tussle at Plymouth, where Albion welcome visitors Blackheath, while second-placed Moseley are at home to Esher. Ampthill, on the fringe of the leading group, are at home to Cambridge.